Okay, so I haven't quite been chained to my workbench finishing off my shiny weather, as the small matter of the London Rollergirls season championship bout rather got in the way. I miss roller derby terribly, and it was really lovely to see everyone. Such a close and exciting game! 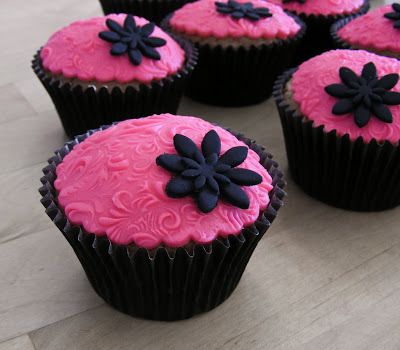 Obviously, being a former rollergirl, it would have been very bad form to show up without cupcakes, so I made some in league colours with my exciting new patterned icing embossy thing. I have to say, I wasn't expecting it work at all, but I think they look rather good actually. 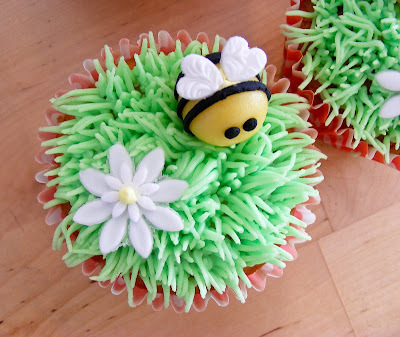 I found a super-fun icing attachment that makes the icing look like grass! Brilliant! 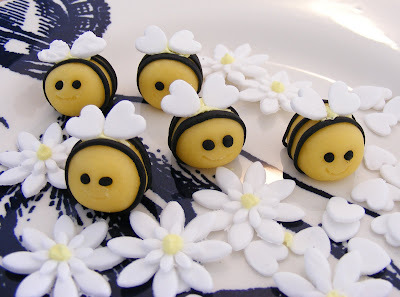 Then I made some bumble bees to go on top of the cupcakes out of marzipan and flower paste. How cute are they? 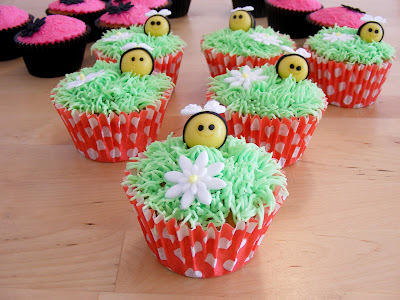 Sadly, I had some of the little guys left over, bereft of a small cake to perch atop. I couldn't quite bring myself to eat them, due to their smiley little faces, but the boy had no such qualms and I believe has now munched through the lot. 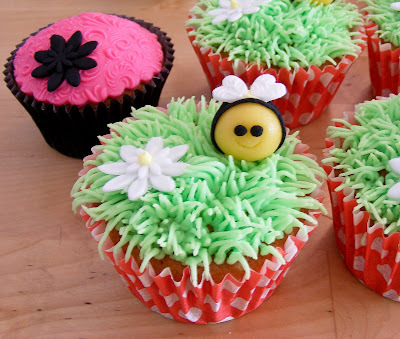 Poor little bees. 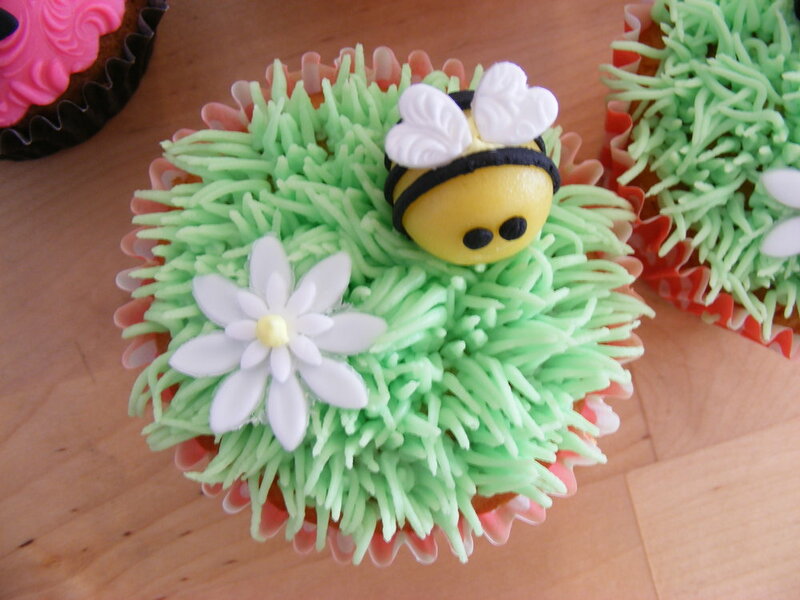 So, after my small diversion into confectionary , I'm back off to the workshop now.